NEW YORK, NY – Alvin Ailey American Dance Theater’s two-week spring engagement at Lincoln Center’s David H. Koch Theater kicked off in an exceptional way on Wednesday, June 11th with Revelations Celebration on the Plaza – a free grand dance workshop, where hundreds of people learned excerpts of Alvin Ailey’s signature American masterpiece Revelations; followed by The Ailey Spirit Gala, a one-night-only benefit performance and party with Honorary Chair Vanessa L. Williams and sponsored by FedEx Corporation. The evening helped raise over $1 million for Alvin Ailey’s extensive educational programs for young people, including AileyCamp and scholarships to The Ailey School. The event’s Co-Chairs were Gina F. Adams, Lynne & Anthony M. Carvette, Almaz & Marc Strachan, Dr. Eboni Marshall Turman & Rossie E. Turman III, and Pamela D. Zilly & John H. Schaefer. 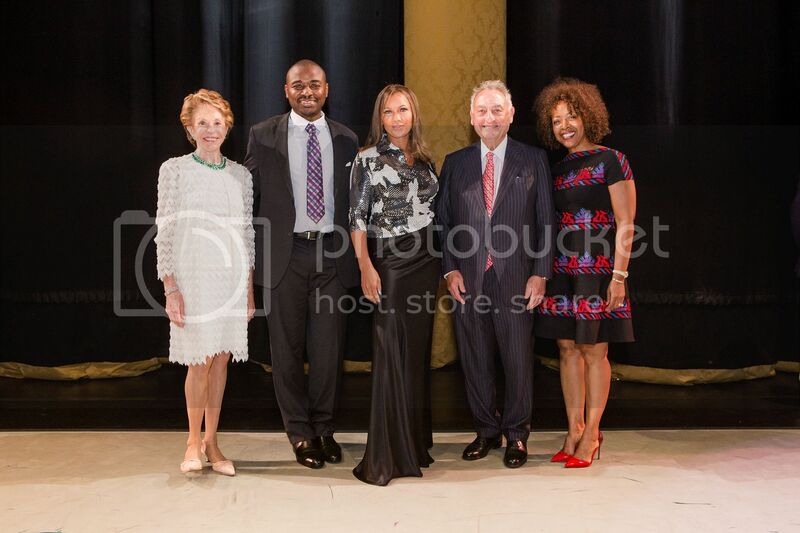 Gala Vice Chairs were Michele & Timothy Barakett, Natasha Leibel Levine, M.D. & Harlan Levine, M.D., Leslie & Tom Maheras, and Celia & Henry McGee. The inaugural Ailey Spirit Gala Benefit featured performances by all the divisions of the Ailey organization, together for the first time ever on the Lincoln Center stage. The celebration continued at the gala party on the promenade with Ailey’s Board of Trustees led by Chair Joan Weill and President Daria L. Wallach, and 800 guests including Artistic Director Robert Battle, Artistic Director Emerita Judith Jamison, Chairman of BET Debra Lee, Actor and star of “Scandal” Joe Morton, Grammy Award-winning singer Melanie Fiona, Celebrity Stylist June Ambrose, Kiyah Wright & Chenoa Maxwell of OWN Network’s “Love in the City,” Elaine Wynn of Wynn Resorts and many more who joined in dinner and dancing with Alvin Ailey American Dance Theater to the musical stylings of deejay to the stars, DJ M.O.S. For more information on upcoming performances including free classes during NYC Dance Week, visit www.alvinailey.org or www.aileyextension.com. Press release/Photo credit: Dario Calmese Jr.